Ancient Egyptians elaborated myths about the creation of the world and the solar cycle and worshipped a number of deities. Death was a central concern of the population, and the journey of the deceased to the afterlife was guaranteed by a series of rituals. The religious world of the Ancient Egyptians, given the number of beliefs involved and its extension throughout time, was extremely complex. Polytheism, the official religion, like all beliefs, tried to respond to all of life’s questions, especially about death. Unlike in other civilizations, such as Ancient Greece, Egyptian religion did not involve mythical theories about the evolution of the gods, given that their deities, based on the theocratic nature of Ancient Egyptian society, tended to take on an absolute and unchangeable form. Gods and goddesses featured in the pantheon had always been, and would always continue to be, just as they were. Conversely, myths did exist about the great processes of life, such as the creation of the world. In this particular case, Ancient Egyptians believed that the god Re, also known as Re Harakhty or Atum, was the creator. The most popular myth saw him as the creator of the universe as a result of his escape from chaos. 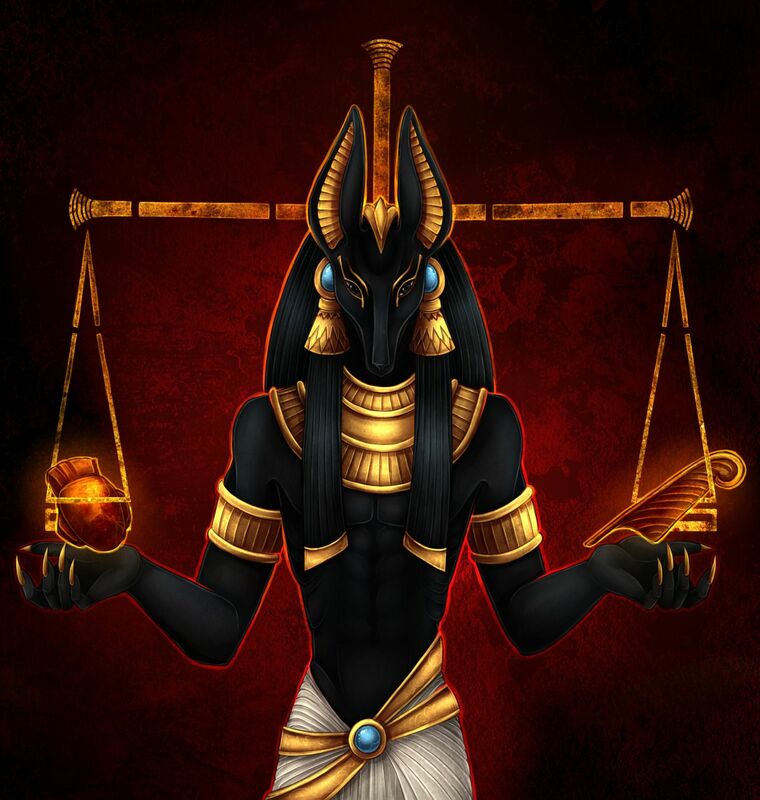 After setting foot on a mound that emerged from the water, he created two further gods using the soil, Shu and Tefnut, who in turn gave birth to Geb, god of the earth, and Nut, goddess of the sky Finally the children of Geb and Nut-Osiris, Isis, Set, and Nephthys-completed the creation of other beings and elements of the world. Other myths, mainly recompiled by Roman historian Plutarch, refer to dramatic episodes, such as the murder of Osiris by Set, the conception of Horus by his mother Isis with the deceased body of Osiris, and the definitive defeat of Set at the hands of Horus. The solar cycle was the source of numerous myths which, in reality represented variations of the same series of topics, such as: the sunrise, its journey by boat through the heavens; its decline, related to the process of growing older in life; and the sunset, as a symbol of death. Some myths contradicted others: while, in the creation myth, Nut is a granddaughter of the sun, in the solar cycle myths, Nut became its mother. At dawn, the sun leaves her mouth and, at dusk, it retreats back inside. 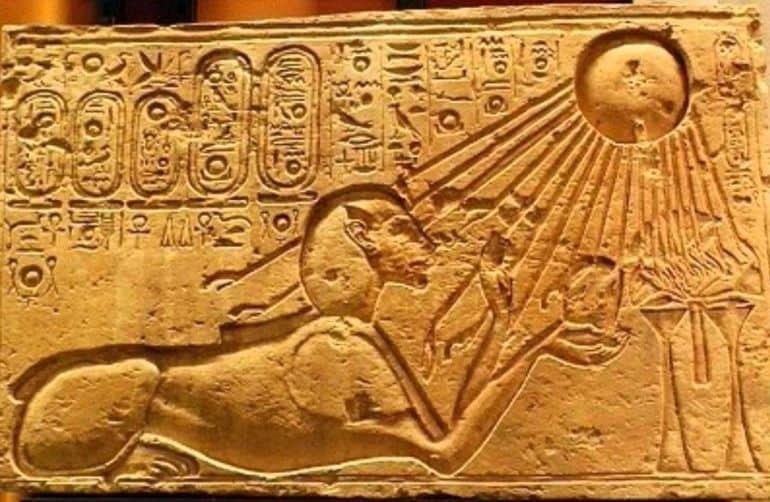 In some mythical variations, Nut was replaced by the goddess Hathor, for which the solar cycle was linked to rebirth. Other myths addressed the end of humanity as an inescapable event, as a result of which Re and lsis would give birth to new beings that would start a new life cycle on earth. The various deities maintained a special relationship with each aspect of reality: for example, Re was associated with the sun; Hathor, with women; and Ptah, with craftsmen. Meanwhile, each god or goddess had a whole network of attributes that went beyond his or her specific purpose: Re was also associated with preventing droughts, Hathor, with cosmetics, and Ptal with the street trading of various products. 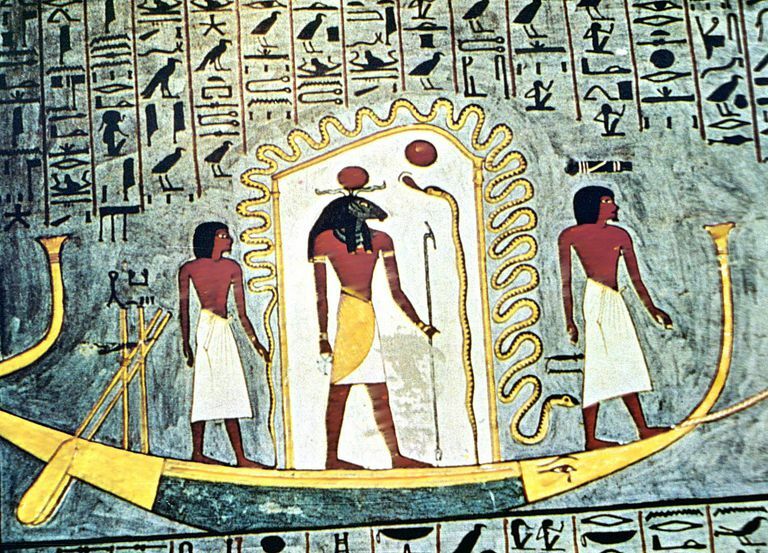 In his journey across the heavenly sky, the god of the sun was accompanied on his boat by a crew of minor gods, who often personified his other attributes. At a given point in its course, when the strength of the sun dwindled, the boat was dragged away by a pack of jackals. When the sun god rose from the horizon, all of creation rejoiced. He was welcomed by numerous gods and goddesses, in a ceremony presided over by the Pharaoh. As the rest of society was banned from these festivals, the Pharaoh, as a representative of both the human and the divine, served as an intermediary between mere mortals and the gods, which reinforced his power at the top of the empire’s social structure.